To assist in choosing the correct color filter, we offer a FREE COLOR MATCH CHART, listing the names of the colors and showing a sample of the actual filters. 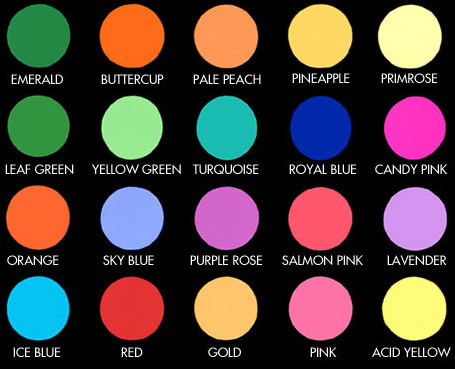 By holding the Chart to a white fluorescent light, color matching is easy. Many applications use our designer colored sleeve that are available in T5, T8 and T12 sizes to slide onto a normal white fluorescent lamp to add that special colored touch to your finished project. Contact EncapSulite at (877)227-8756, request a quote or email us at info@encapsulite.com for a free Encapsulite color selection chart.